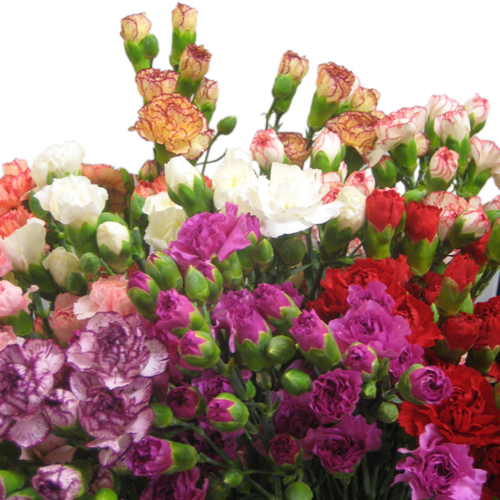 Available in a variety of shades, including a mixed assortment, these Carnations are perfect as fillers for bright, colorful bouquets, button holes, wedding flowers and cake decorations. With strong, erect stems, these long-lasting blooms are easy to work with and excellent value. Click on thumbnails for further information.